It’s high time we talk about Arkells’ High Noon. Every once in a while, we have to take a second to recognize a band that made the jump from being independent to the big leagues. 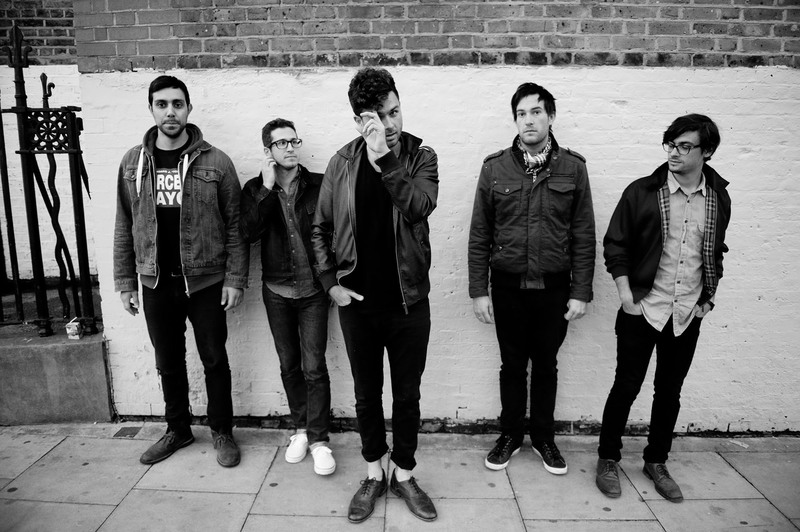 Today, that band is one of my favourite bands of all time, Arkells. From humble beginnings as a band from Hamilton called Charlemagne to the independent band Arkells on Dine Alone Records to the rock stars they are now on Universal Music Canada, Arkells have never forgotten where they came from, or their fans that make their heavy tour schedule worth every second. It’s been a little over three years since the release of their sophomoric album Michigan Left, and I know both the band and their fans have been eagerly anticipating the release of their newest album High Noon. So without further ado, let’s get to the music. Here are my thoughts, song by song. If you’re not looking for an in depth look and you’d like to skip the song by song and just get a quick idea, click here, otherwise, keep reading. 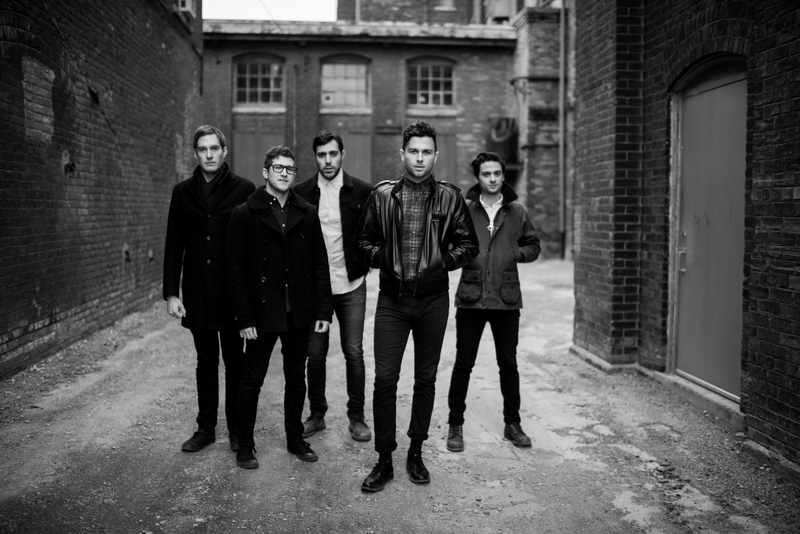 It’s no secret that Arkells are rooted deeply in older music. Their debut record Jackson Square had The Beatles written all over it, whether it was their song called “John Lennon”, or the cover of “Eleanor Rigby” that they’d throw in the middle of it. Michigan Left delved a bit into Motown, and into Springsteen-esque rock from the 70s. High Noon starts off with an incredible keyboard riff from Anthony Carone, who joined the band shortly after the release of Michigan Left and the departure of founding keyboard player Dan Griffin. The riff is joined by Max Kerman’s powerfully commanding voice “Oh you’re just a boy, a little banker boy, everything’s a game and everyone’s a toy.” The song calls out the rich, who prey on the weak, reminding us “it’s nothing but Fake Money.” The tone is similar to that of the anti-war rock songs of the 60s and 70s, except it’s not war they’re protesting, it’s the human ugliness at our core. It’s angry, it’s rallying – a call to action, and a fantastic way to open the album. The next song is the band’s first single, “Come to Light”, about the moment of calm during a storm when your car passes under a bridge and the rain stops for just a second. “Cynical Bastards” starts off with another Carone keyboard riff, and then fulfills what we’ve come to expect from these boys, references to Southern Ontario towns: Hamilton (via Jackson Square), Burlington and Oakville, and Max’s conversational singing that I, for one, have come to love. This is a song that I cannot wait to dance to live. “11:11” is a typical Arkells love song, it’s catchy, romantic and caught between depressing and uplifting and 100% relatable. It’s “I’m not the sun” crossed with “Tragic Flaw” with a new Arkells spin. According to Max, in the email he sent out when they gave us a taste of the new album, “Never Thought That This Would Happen,” which owes its origins to the Hillside Festival in Guelph, “takes place at some point between Saturday night and Sunday morning, after all the dancing and music has finished.” Musically, they said it was new territory, even the writing process was different. But lyrically, this song is oh so easy to relate to. It doesn’t matter if you’ve been to Hillside. If you’ve ever been to a music festival with a group of friends, you’ve seen this song happen, or even lived it yourself. With the soothing harmonies, and catchy hooks, it’s the song you can’t help but sing along to. It’s even got “Ooh la-la’s.” Check out the acoustic version below. “Dirty Blonde” feels like new territory musically. It leans far more into pop than we’re used to. But it’s the direction the boys have been playing with. Now, don’t get me wrong. I don’t think Arkells are ever going to be a full on pop band, and with their high energy live show, Arkells fans are still going to get everything they’re used to. It’s actually kind of refreshing. It’s different than what we’re used to and that keeps us on our toes, with this song that’s also quite literal. Hard not to dance around to this one. If you see me dancing in my car, this is probably what I’m listening to. “What Are You Holding On To?” sounds like it could be the theme to the opening credits to an 80s or 90s sitcom, which isn’t surprising since the band said the name of the album was a reference to how cinematic they feel the album is. “Hey Kids!” actually surprised me. Lyrically, I can’t place it, and musically it’s completely new territory, this is one of those songs that’ll take a while to really sink in, but when it hits, I’m sure it’ll be one of my favourites. “Leather Jacket” is up next. Fans on Arkells‘ mailing list got a sneak peak at this song sometime last week, via a post-card that was sent out with a link to the song on it. Easily my favourite song on the album right now. It makes you want to dance, it’s got lyrics you can relate to without diving to deep into them, but at the same time, you can dive deeper and find underlying themes. I feel like I’m starting to sound like a broken record, so I’ll move ahead to the last two songs. The only thing missing from “Crawling Through The Window” is a reference to Zach Morris from Saved by the Bell. All in all, it’s not a hugely energetic and upbeat song, it’s got a small build, and a quick denouement, but it’s still a solid track. Finally, to the last track on the album. “Systematic” is the song that plays during the montage at the climax of the movie. Why wouldn’t the album end with a song fit for the closing credits? Because the movie’s never over. At least, we don’t want it to be. So we listen again, and again. For the casual listener, this is another incredible, catchy, upbeat and fun Arkells album. Buy it, listen to it, cherish it, and go see them live every chance you get. For the die-hard Arkells fans who know every song inside and out, or musical purist who will analyze this album to death – here’s a message to you: I’ve talked to a few people about the songs that were released early, and the new album before I got a chance to listen to it myself. Some were disappointed, they found it too mainstream. Here’s what I’ll tell you. Jackson Square was an incredible album, probably one of my favourite albums ever. But you don’t want another Jackson Square, you want a band to mature, to give you something different each time. We get upset when a second or third album sounds like a carbon copy of the previous one. Arkells albums are like a fine wine, they get better with age, and more listens. My previous experience with Jackson Square and Michigan Left is that I’d listen to the whole album over and over, but really only dive deep into a few songs at a time. Then a few months later I’d find something I hadn’t noticed before about some of the other songs, a lyric, a groove, a riff, an experience that now stands out, and then I’d abandon my previous selections in favor of my new ones. By the time the next album came out, there wasn’t a single song that I didn’t wholeheartedly love with all my being. That’s what makes a great album. It challenges you to dive deep. You’re always learning something new with each listen. It’s never boring, and that’s exactly what High Noon is. Arkells leave for Germany on Friday and have a couple dates in Amsterdam and London before returning back to Canada for some festival dates in late August and early September. In October they leave for some dates in the US. No surprise if they have some seriously packed tour schedules coming in the next few months. If you’ve never seen them, or if you’ve seen them more times than you can count, get ready, they’re probably coming your way. Find all their dates here.